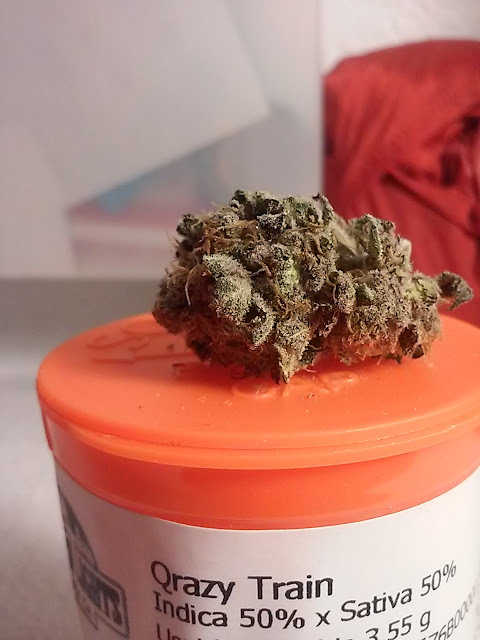 Qrazy Train is a top-shelf hybrid marijuana strain available at a handful of dispensaries around Colorado. 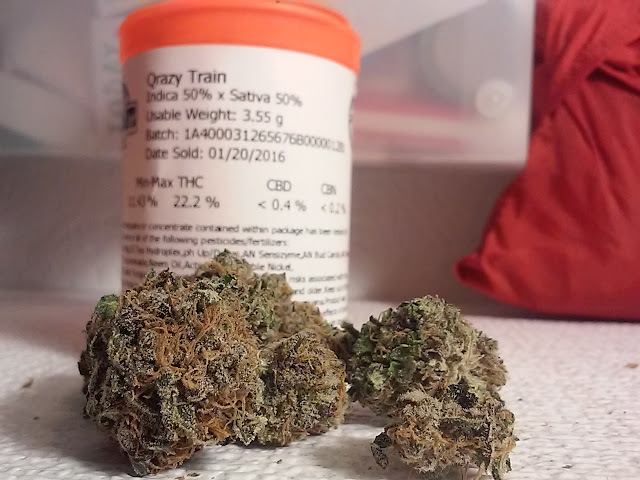 The Qrazy Train I picked up at Northern Lights Cannabis Co in Denver, Colorado was one of the best batches of a 50/50 hybrid weed I've seen in a while; and that's saying something because 50/50 sativa/indica hybrid marijuana strains are my go to. Like I said this is a great 50/50 hybrid strain and it's super potent. It smokes nice and doesn't get you too tired, so in my opinion it feels much more like a Sativa strain. Like wax out of vape pens? Try smoking Crazy Train wax with a vape pen. It's top-notch! Below you'll find some more information on Qrazy Train strain marijuana.